New Energy Risk’s new performance insurance for TCG Global’s gasifiers and a significant project advance from Velocys in the UK are on the docket today. These companies and the news this morning are united as key project components in the Red Rock Biofuels project which breaks ground in Lakeview, Oregon next month, aiming to supply 15 million gallons per year of renewable jet fuel to FedEx, Southwest Airlines and potentially the US Navy, made from waste woody biomass. TCG supplies the gasifier system and Velocys microchannel FT technology is converting that syngas to fuels. Let’s look at the news. In California, New Energy Risk has created an insurance product for TCG Global that will cover TCG Global’s high-efficiency gasifier as it is field-tested and installed, beginning with the Red Rock Biofuels’ Lakeview, Oregon plant. In order to cover delivery and installation of its gasifiers and reduce uncertainty for new customers, TCG Global turned to New Energy Risk and its affiliates. New Energy Risk’s custom insurance solution not only accelerates time to market but also provides support for TCG Global in terms of warranting and insuring performance through delivery and startup of the gasifier. This support greatly mitigates the gasifier technology risk to project financing partners and other stakeholders. We’ve seen New Energy Risk at work with other advanced projects in recent months. We reported several months back that NER provided Fulcrum BioEnergy with a technology performance insurance solution for Fulcrum’s Sierra BioFuels Plant near Reno that broke ground last month. Fulcrum recently raised $150 million in bond financing for the Sierra BioFuels project, and turned to New Energy Risk, an affiliate of global insurance giant XL Catlin, to provide a performance insurance product to support the financing. In the UK, Velocys has secured funding to deliver the next development phase of the waste-to-sustainable jet fuel project that the company is developing in the UK. A grant of £434k has been secured from the Department for Transport under the Future Fuels for Flight and Freight Competition. The award of this grant, together with ongoing policy support provided by the Renewable Transport Fuel Obligation, will help this innovative waste-to-fuels project bring jobs and clean growth to the UK. The project is being developed with the financial and technical support of Shell and British Airways, and £4.5m has been committed by the industry partners including Velocys. The team is developing the engineering and business case for the construction of a first plant in the UK. Subject to a final investment decision, this plant will take hundreds of thousands of tonnes per year of post-recycled waste, destined for landfill or incineration, and convert it into clean-burning, sustainable fuels. The jet fuel produced, to be used by British Airways, is expected to deliver over 70% greenhouse gas reduction and 90% reduction in particulate matter emissions compared with conventional jet fuel. 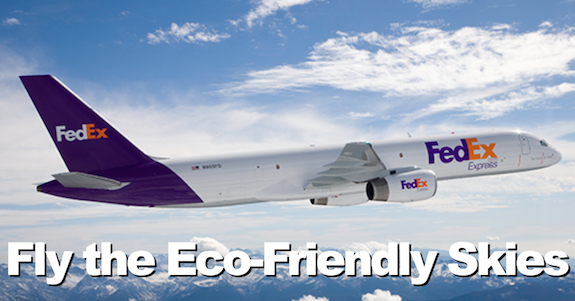 This would contribute to both carbon emissions reductions and local air quality improvements around major airports. The project partners expect to reach a final investment decision in the first half of 2020. The next development stage will include detailed pre Front End Engineering and Design engineering study and site permitting activities. Advanced Plasma Power has been selected as preferred gasification technology licensor for this UK waste-to-fuels project. APP offers an efficient and tested solution for conversion of waste to synthesis gas (for onward conversion to fuels via Velocys’ Fischer-Tropsch process). In a boost to the long term commercial viability of the project, changes to the Renewable Transport Fuels Obligation came into force on the 15 April 2018. For the first time, renewable jet fuel is to qualify for credits under the RTFO, providing long term policy support for sustainable aviation fuels. Meanwhile, Velocys has partnered with PQ Corporation for the supply of commercial quantities of Velocys’ proprietary catalyst to be used in multiple biorefineries incorporating its technology. PQ is a leading global provider of specialty catalysts, services, materials and chemicals for the refinery, emissions control and petrochemical industries. Catalyst produced by PQ has already been used to successfully produce renewable transportation fuel and other products at ENVIA, the world’s first commercial smaller scale gas-to-liquids plant, which incorporates Velocys technology. In addition, PQ will manufacture the catalyst to be used by Velocys’ licensees as well as by the biorefinery projects that the company is developing with its industry partners, including the Red Rock Biofuels project and the proposed UK project.